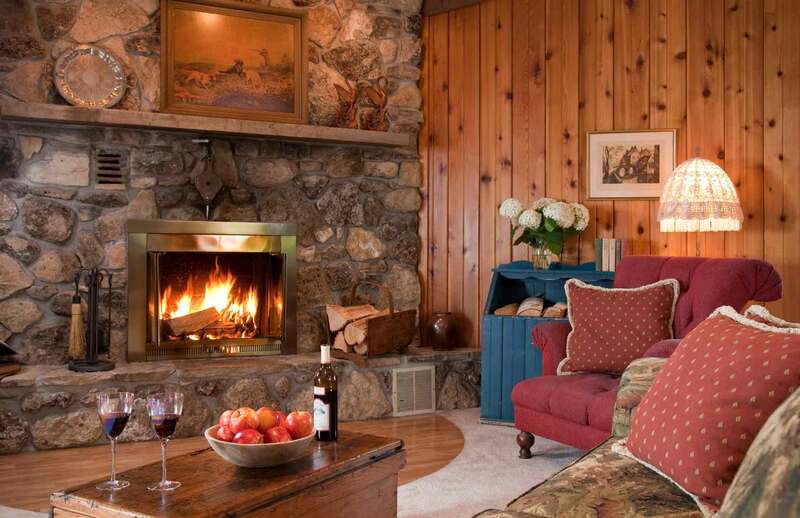 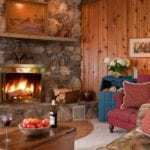 The Grand Suite is dominated by ten foot, vaulted ceilings and a massive, stone, wood burning fireplace. 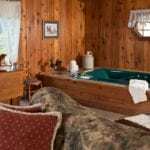 The Grand is decorated with natural pine paneled walls, double whirlpool tub, overstuffed furnishings and a king-sized bed. 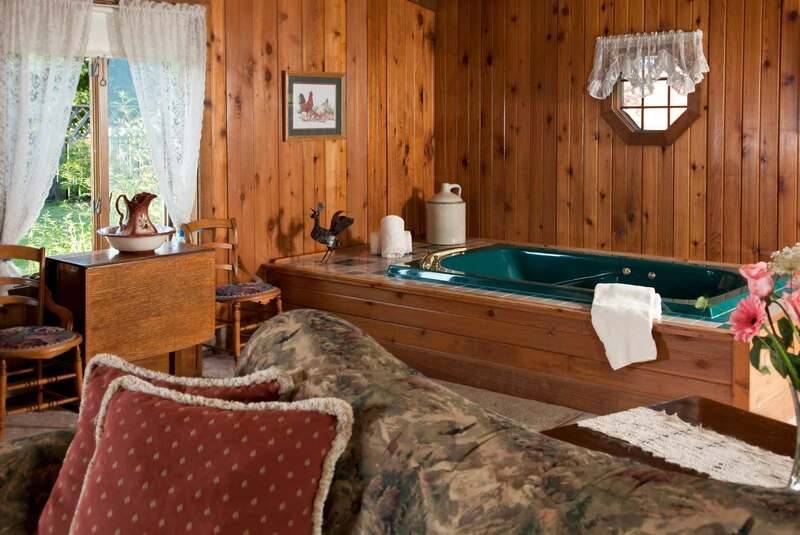 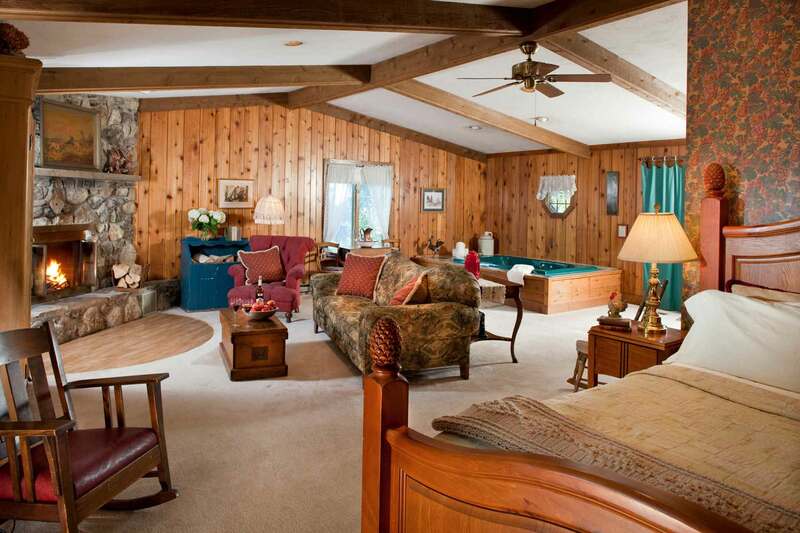 This suite also includes a spacious bathroom with a large, two-person shower.